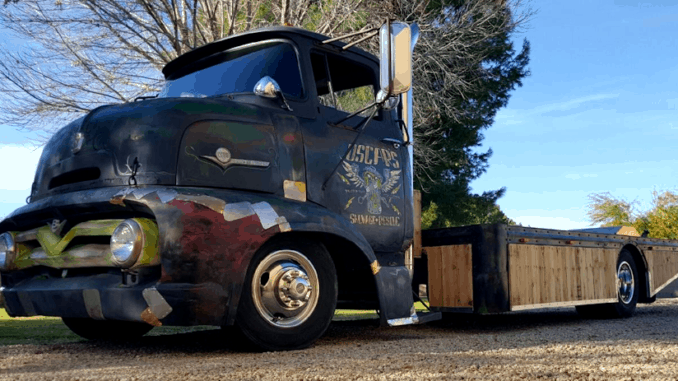 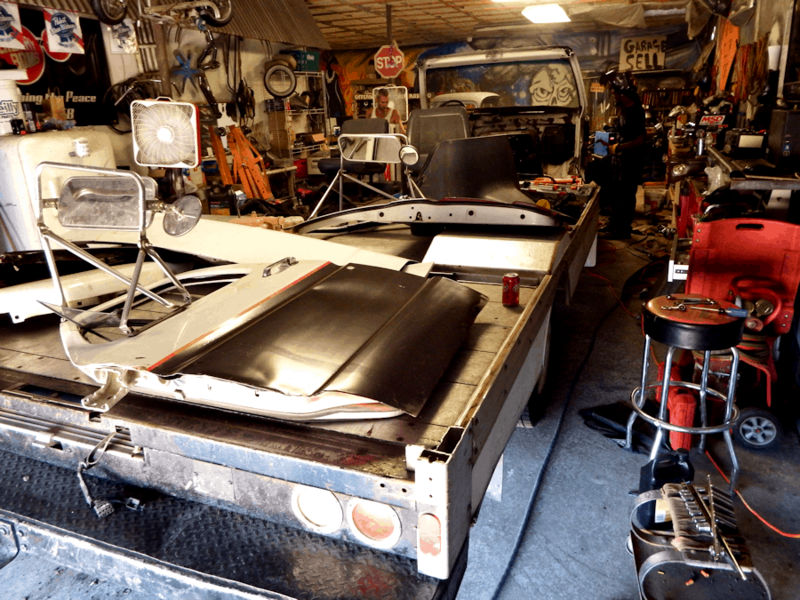 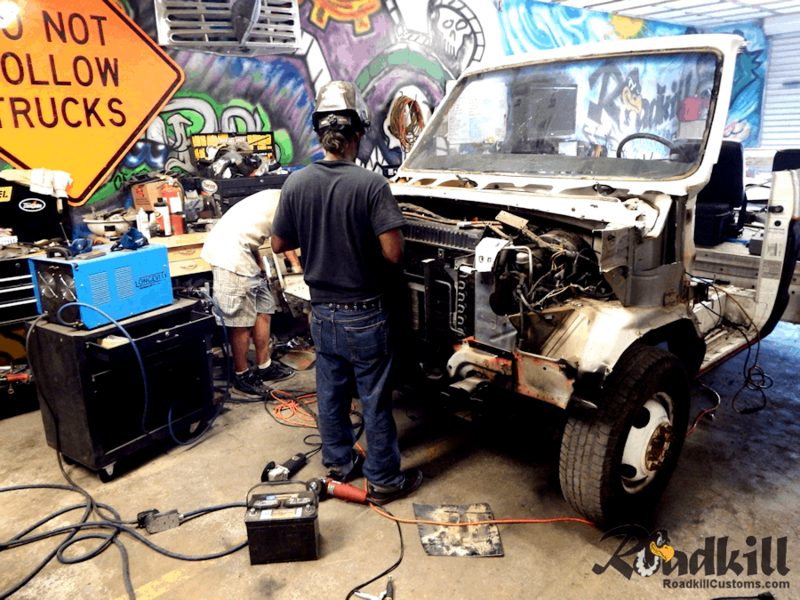 The chassis donor for this project, a 1990 Ford E-350 was used to retrieve it’s own new skins. 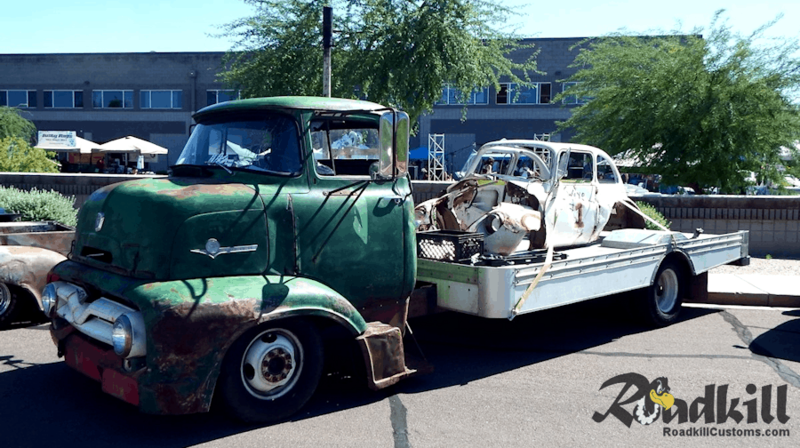 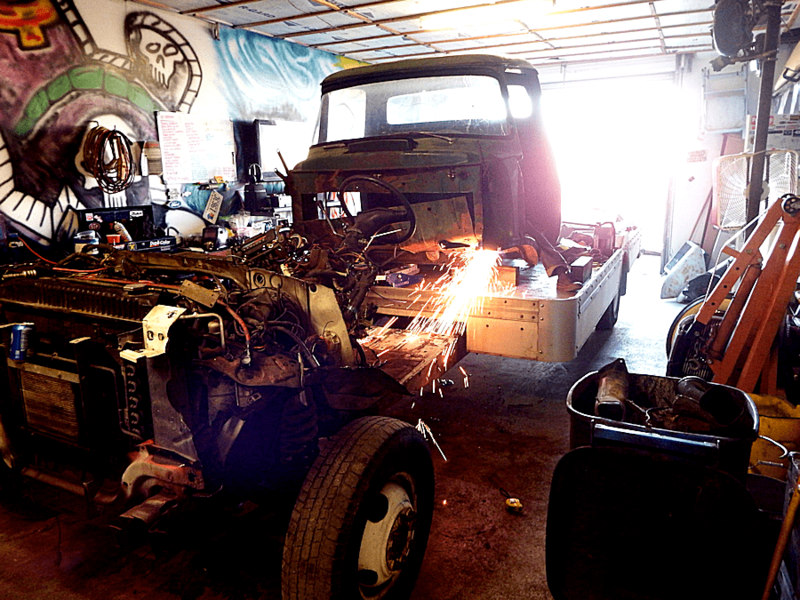 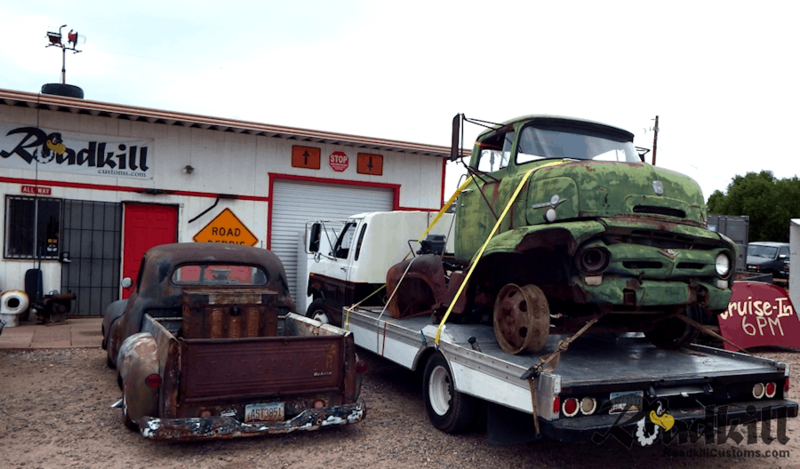 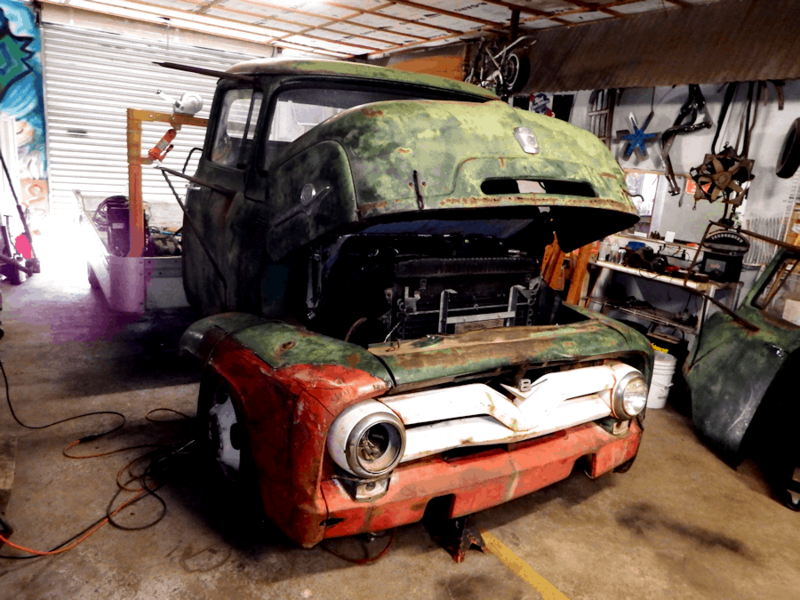 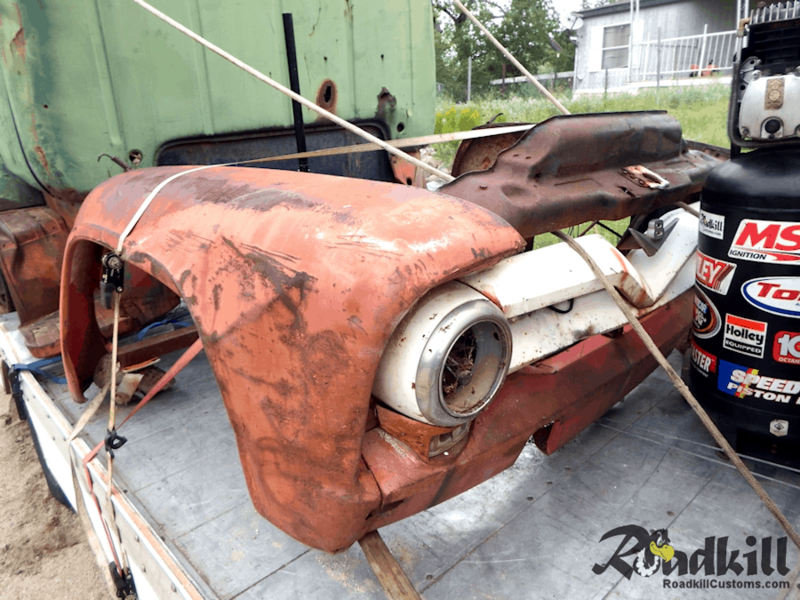 Then, with the new skins in place, the ’56 COE delivers the discards to the recycler. 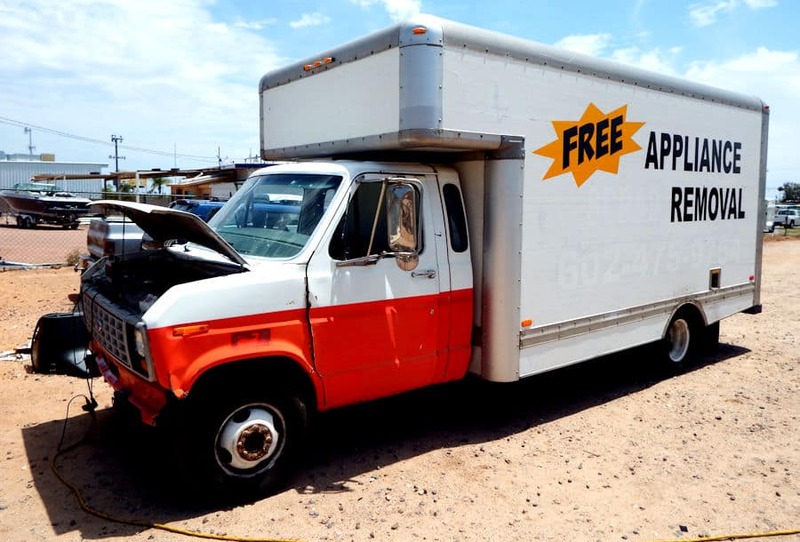 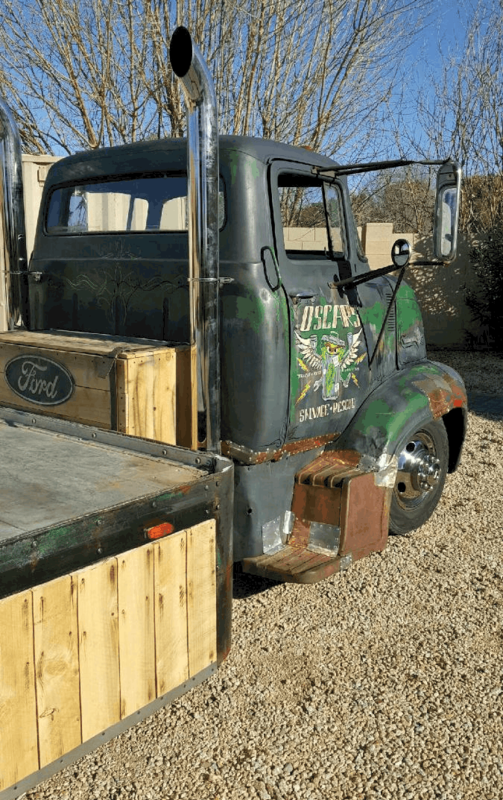 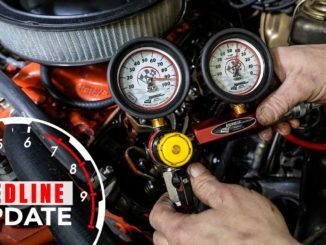 The drive train / chassis donor — a Craigslist purchased 1990 Ford E-350 with a 7.3 Liter Diesel — was acquired as a complete box truck. 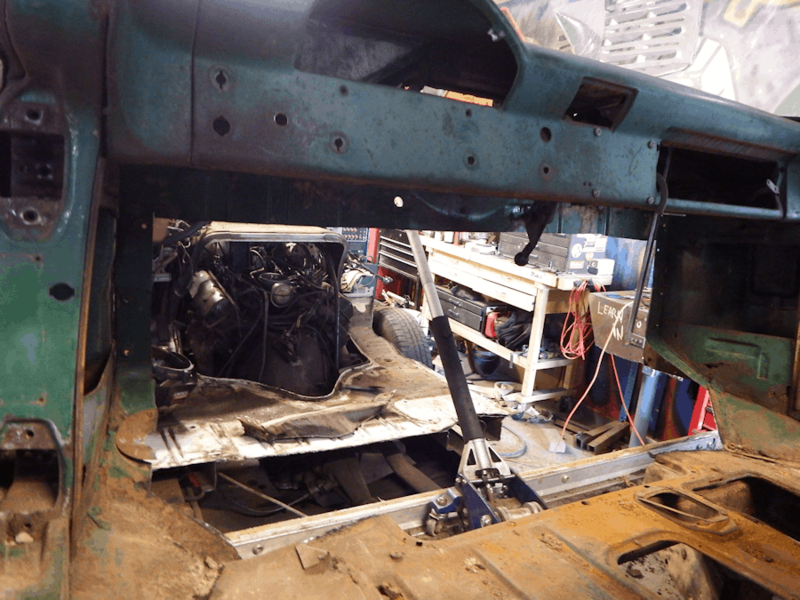 Donor cab off and the ’56 cab gets initial trimming for placement on the donor, about 8 feet forward. 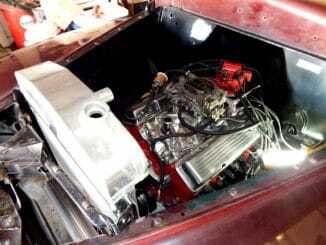 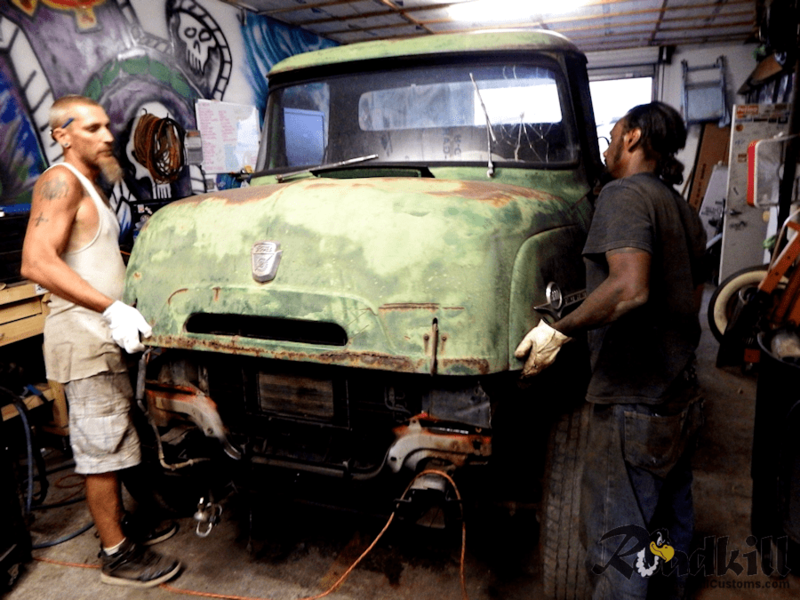 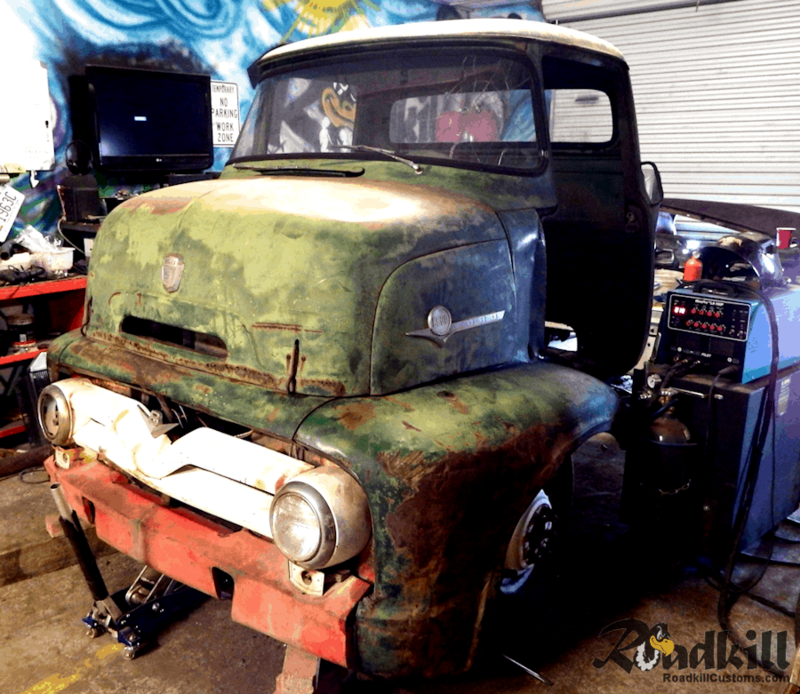 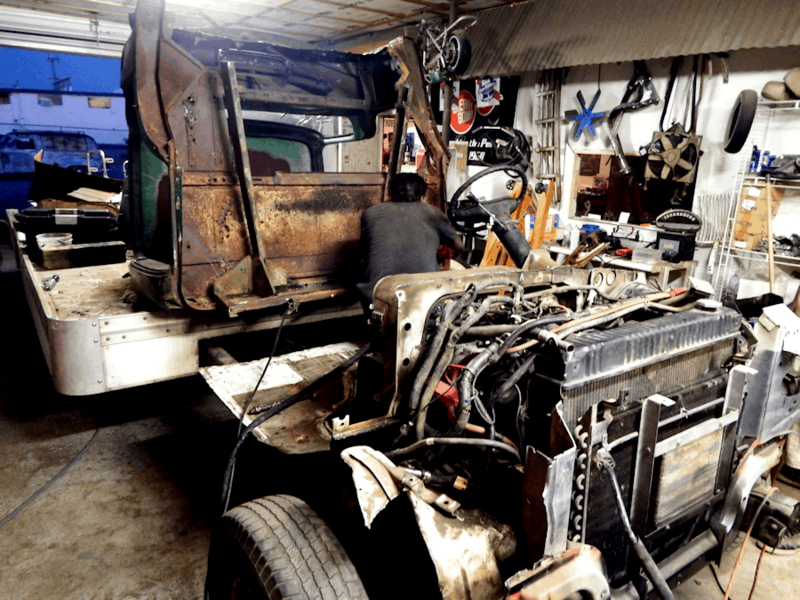 Fitting the cab went pretty smoothly, as much of the floor and firewall were cut from the ’56 cab. 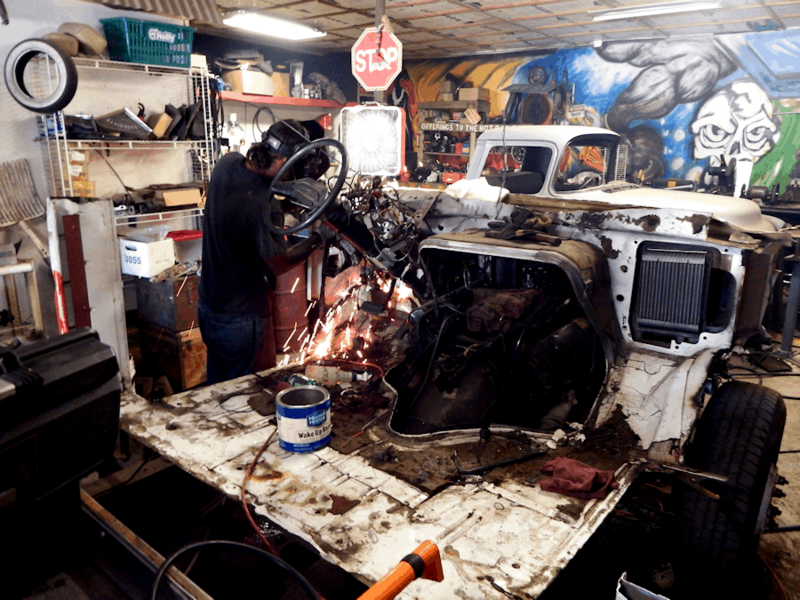 The firewall front the donor was left in place and welded to the cab to seal off the engine compartment, but also allow for the use of the late model truck engine cover (dog house) to be used. 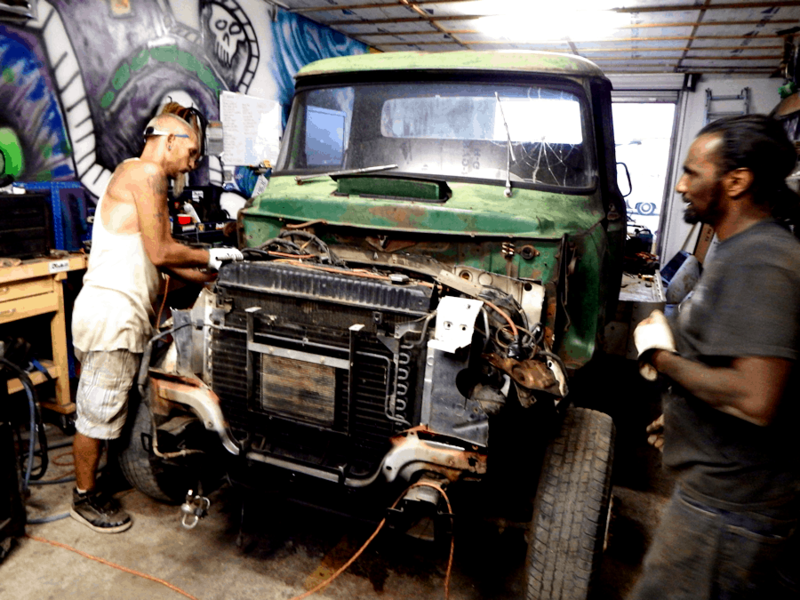 With the cab planted and the firewall mated to the cab, fitting the hood become the task at hand. 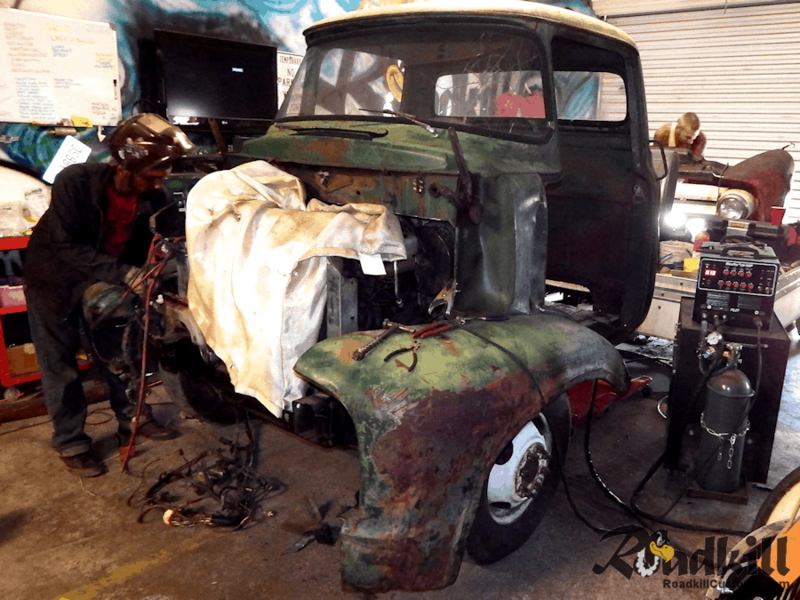 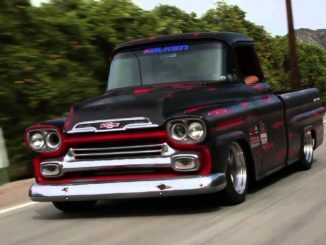 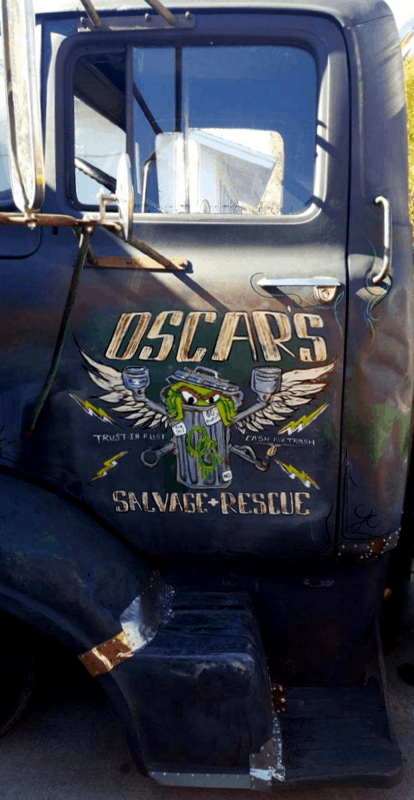 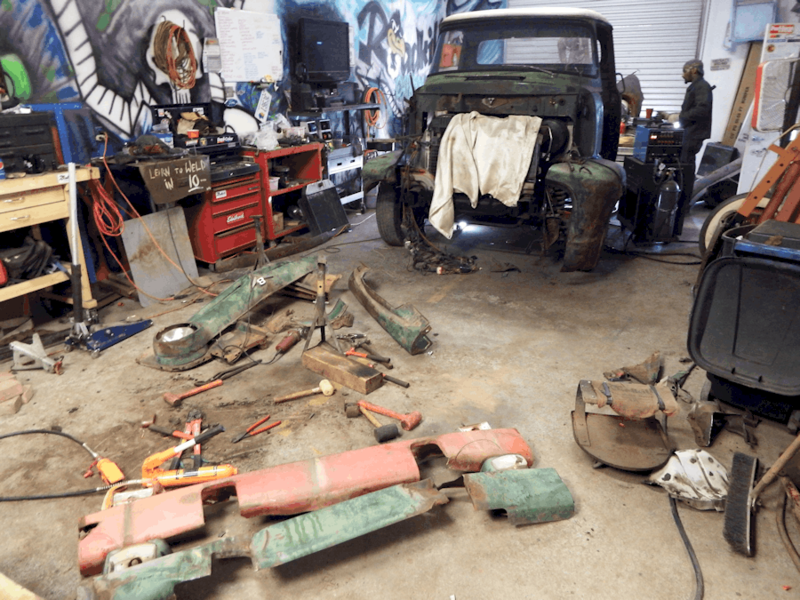 And then get the ’55 pick-up truck fender fit as well as possible to the missing area of the ’56 cab, and figure out which grill to use.